La Trobe University's Research Data Management Policy applies to both graduate researchers and their supervisors. 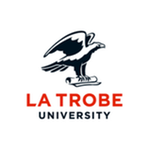 The documents make no distinction between graduate researchers and any other researchers as far as research data management obligations, defining researchers as "anyone undertaking or piloting research in association or affiliation with La Trobe including but not limited to academics, students, higher degree by research candidates, professional staff and third party associates." 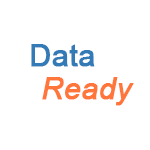 Taking joint responsibility with their students enrolled in a higher degree by research for the management of the students’ research data and primary materials. These points clearly show that supervisors play a particularly important role in the data management process. Not only are supervisors and graduate researchers jointly responsible for the management of data generated by the students' research, but supervisors have a further obligation to educate their students appropriately about the importance of research data management in the context of the research life-cycle and to clearly communicate the students' legal and ethical responsibilities with regard to the management of their data.